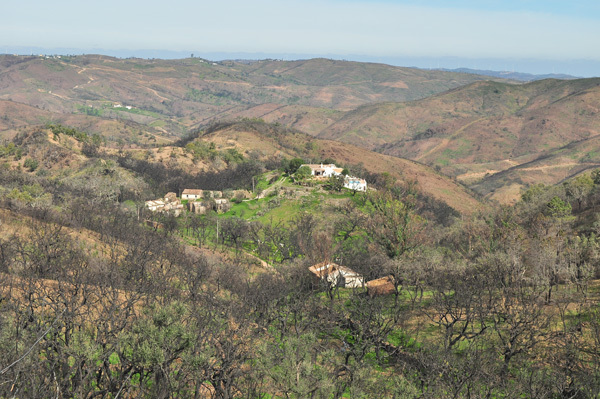 Juromenha has a relatively remote location in Southern Portugal. It’s a 2,5 hours drive from Lisbon, and a few dozen kilometers from Évora. It has been inhabited at least since the 9th Century and in the 10th Century there was an Arab castle on the spot. It was conquered by the Christians led by the first king of Portugal – Dom Afonso Henriques – in 1167, and then lost again to the Muslims in 1191. Only in 1242 was taken by the Portuguese for good. In 1312 the castle was totally renovated, entering a phase of decay from the 16th Century. Only in the late 17th Century the castle regained its strategical significance, playing an important role during the long war (Guerra da Restauração) between Portugal and Spain. Most of what we can see on the spot these days was built in that period. It was in 1640 – the year the war started – that was decided to rebuilt the fortress. There were 3 proposals, being the winner the one presented by the Dutch clerical Cosmander. This was the most elaborated and complex design. However the works came to a stalemate and another of the candidates, the French Nicolas de Granges got the job. In 1659 an explosion in the powder storehouse caused the death of a few men and damaged the structure of the buildings. Meanwhile the French switched sides and led the Spanish artillery during the attack of 1662, when the fortress was temporarily lost. Located in a borderland it change hands quite often. Only in 1808 was finally taken by the Portuguese. 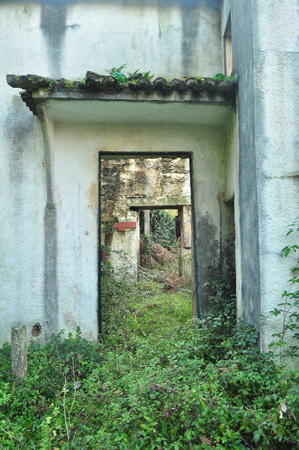 Since then it lost its importance and became gradually a ruin. In 1920 was officially abandoned. 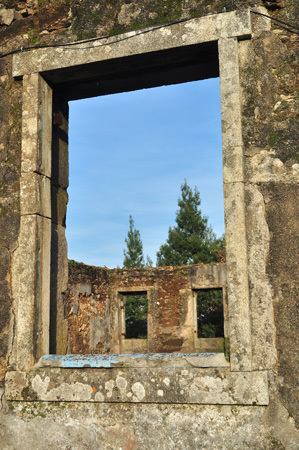 In 1950 the Portuguese government (Direcção-Geral dos Edifícios e Monumentos Nacionais) invested in the renovation of the fortress with the works being done until 1990. Which is strange because one won’t notice much of this on the site. Although it’s a bit far from the main cities, it’s not hard to get there. 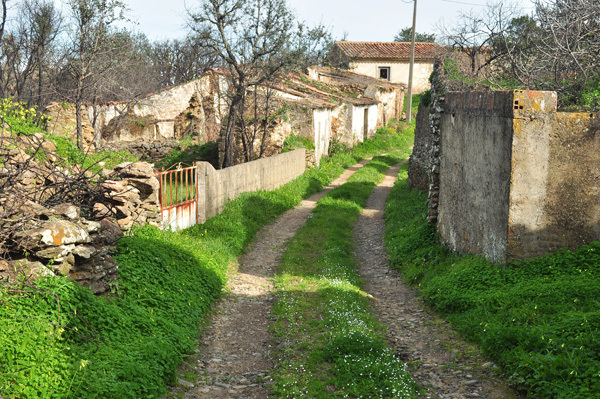 Juromenha is also a village and there are proper roads leading to the location. The fortress is completely abandoned and wide open. Just use the main gate and enter. Lots to explore there. The view is breathtaking. Enjoy! 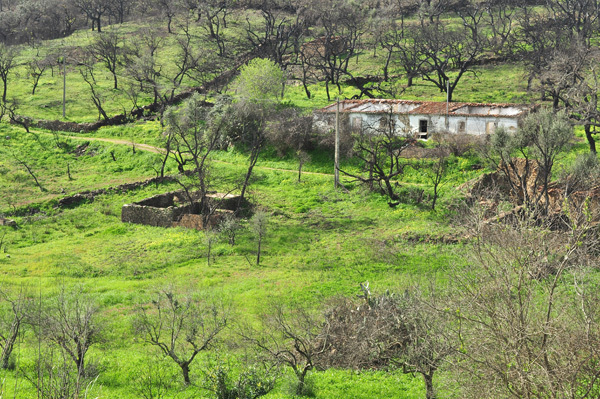 To find it, just Google Earth: Juromenha, Portugal. The fortress location is obvious. 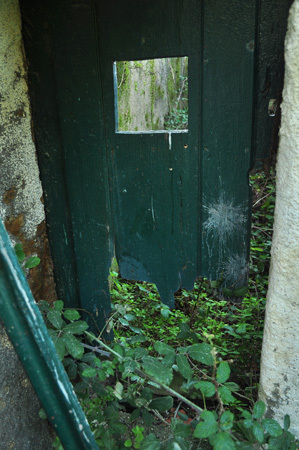 Nearby Urbex site: Forte da Graça, Elvas. I came across this place during a short distance hiking journey in the mountains of Caldeirão, a solid chain which cuts the region of Algarve off the rest of the country in most of its length. In the Summer of 2012 all this region was devastated by a significant wildfire which did the devil work around here for about endless six days. As we are quite seasoned in the difficult art of dealing with these kind of fires, not many people lost their homes. 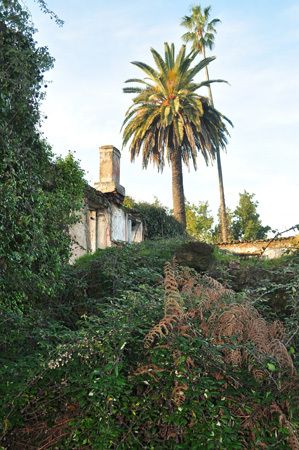 But somehow I suspect one of the houses of this abandoned village has people living in it before the fire. When I arrived and started exploring I thought this was just another sad story of rural communities which vanish due to the ageing of population. Always the same tale: youngsters follow the call, they move out, go to the big city or to a distant foreign country. Parents stay behind, used as they are to their little world. And when they finally die, one by one, also their dear village dies. Well, I suspect there was still one person alive here. Perhaps a couple. Because all the houses but one are total ruins. Still, you find plenty of personal belongings in one of the houses. The roof collapsed and you can tell it was because of the fire. Lost amongst the debris, one will notice… those nice hand painted plates, assorted pieces of silverware, mouse traps, bowls, cooking pans. Outside, an old chair slowly getting rotten still has hanging a man’s hat (see picture above). Another sign of a sudden departure. 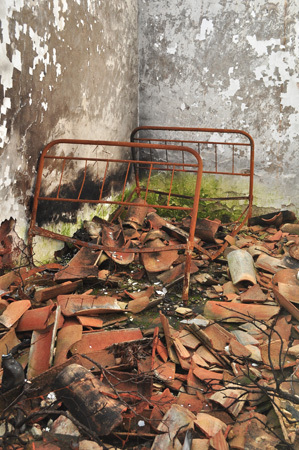 In of of the rooms, obviously used as a storage space, an old motorcycle was destroyed by the fire. A pile of rusty parts, no tires as rubber went with the flames. Well, usually I wouldn’t consider this for an Urbex website, but I have to admit the place impressed me. You see, it’s these random traces of life still present there, testimonials of a past which can still be imagined with their help. The loneliness, the long winters, the wind, the rain hammering the roof. The memories of the good old times, the first son born, the successful crops. And then, slowly approaching, the idleness of old age. The empty days coming one after the other, the long wait for the by now desired end. So, all of this made me decide to publish this post. I like the pictures anyway. 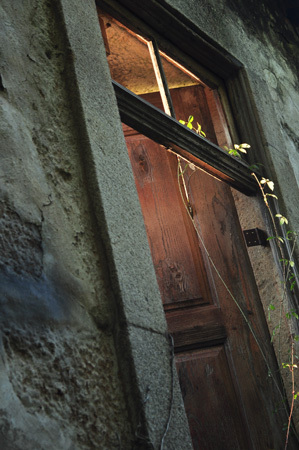 I am back to petty Urbex, but, hey, it says up there: “abandoned places with a soul”. And even small places like this have a strong soul. So I came to Porto area to spend a couple of days with a friend. Who happened to live across the street from this abandoned farm. I think he was never on the spot though. So we came together, usual partners in these explorations when I am in the region. After walking up a partially destroyed wall, one will see a straight trail, which goes for 300 or 400 meters, leading directly to the premises. 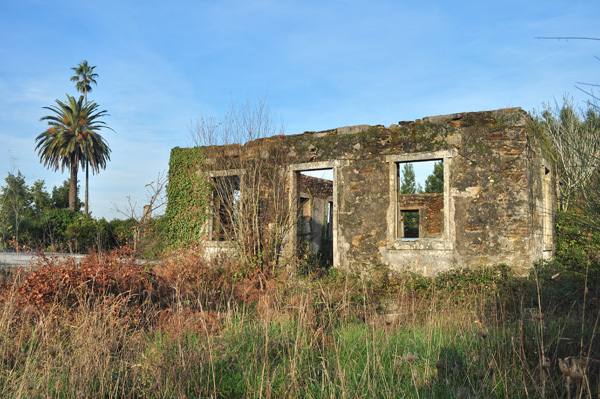 This abandoned farm had a name: Quinta do Casalinho, owned by the Bastos, a wealthy local family. 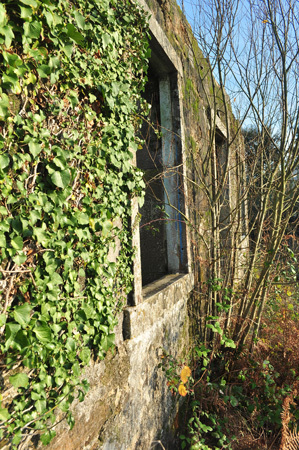 There is a main house – or at least its ruins – and some attached buildings. Unfortunately a jungle of thorny bushes took over all the indoors (or what used to be indoors) areas, and the explorer is limited to a glance from outside. Note the palm trees, which were very popular in wealthy properties, as a status sign. Although a considerable number of palm trees died in recent years, due to a plague of lethal beetles, it’s still common to observe these noble trees standing, alive and kicking, where human enterprises collapsed. This visit can be combined with some nearby spots: Fabrics Factory in Crestuma and Wine Packaging Factory in Pedroso. Ah! The entry spot can be found at this coordinates. And see the following picture. Important: the coordinates are aproximate. I forgot to mark a waypoint and the entrance is not recognizable on Google Earth. Check the picture for extra help. This was the best urbex site I ever visited. Not that I visited a lot, I know there are plenty of truly spectacular spots out there but I cant reach them, so I have to talk out of my own experience. And accordingly to it, this is the most impressive! Elvas is a town within walls. Actually, it was classified as UNESCO site this year under the title Garrison Border Town of Elvas and its Fortifications. And it was the chosen place to spend my birthday in 2012. The weather wasn’t promising, but I really wanted to get out of my usual routine in this day. So we spent a few days with friends in Évora (another UNESCO site, geez, this small country most be the one with higher ratio of UNESCO sites per area). And it was from there that we left for this expedition. Elvas is about 90 km from Évora, good road, easy trip. Although there is much to see and do in Elvas, we took Forte da Graça first. For a single reason: weather forecast was “promising” rain in a couple of hours and this isolated fort was the major attraction for the day, so I wanted to explore it with perfect weather conditions. The light was great, with a dark sky offering a powerful dramatic touch to any picture I would take up there. Getting there was a piece of cake. 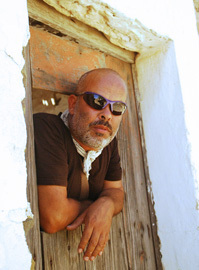 I was on the spot a few years ago, but by then it wasn’t possible to enter the core of the fort. And I mean, a proper fort is not a place you can trespass, not without climbing skills and equipment (neither of which I possess). But I was told that nowadays the main gate is wide open. Well, it is true. I found the main gate as promised… and a police car parked just in front of it, with two officers sitting inside. I thought to myself: “Well, I am not going to pay a fine and definitely not going to spend my birthday in jail if I just walk in”. I believe in these situations a relaxing atitude is the key for success. So we got out of our car, picked the Nikon D90 from the back seat, put my rucksack on and started waling towards the gate, expecting to hear something any moment. But they just stayed there. And, as I noticed shortly after I entered the outer ring of the fort, they left for good. A bit of History now. Elvas, being a border town for centuries, saw plenty of action. It was involved in endless wars between Portugal and Spain, and even in the conflict with France, when Napoleon invaded – the only occasion in which Portugal was invaded since its foundation, back in the 12th Century. It’s not surprise then, that the whole region is packed with medieval castles and modern fortresses, especially from the 17th Century, when the longest war against Spain took place. It was during that conflict (Restoration War 1641-1668) that the Spaniards set siege on Elvas, and occupied Graça hill, with dramatic consequences for the Portuguese. A century later, another war, the same happenings. Spanish going up Graça hill, unleashing hell to the Portuguese down in Elvas. So we thought “enough is enough”. 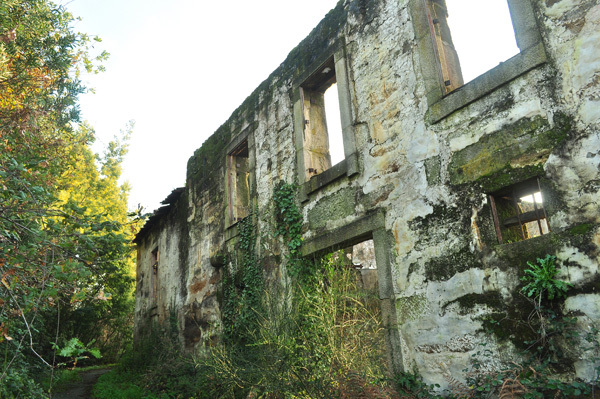 In 1763 – a year after the mentioned event – the works for the building of a new fortress in Graça hill started. It was finished in 1794 and initially named after the man who reorganized the Portuguese Army and proposed its construction: Count of Lippe. In 1801 the last war against Spain took place, and the enemy was kept away due to the newly built fort. Ten years later, the French also failed to take the fort (poor general Soult). 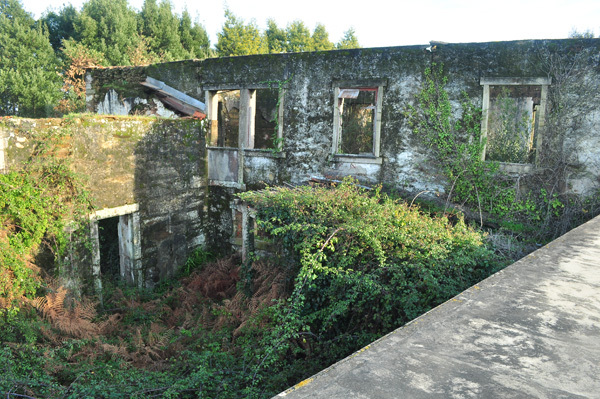 In the last decades the fort was used as a military prison but it’s currently abandoned. he city of Elvas will eventually take over and requalify the structure (I can’t imagine with which money, considered the size of the fort) but the process is still going one. Ok, enough of chitchat. Let the images talk! No need for coordinates for this one. It’s pretty obvious, Google it, Google Earth around Elvas, ask in the town for directions, whatever.